Albert Galicinão, a master’s student in Michigan Tech’s Department of Civil and Environmental Engineering, will discuss his home country, The Philippines. 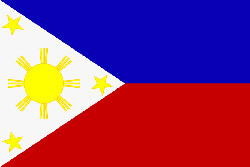 The Philippines, officially known as the Republic of the Philippines, is a country composed of 7,107 islands. It is one of only two predominantly Roman Catholic countries in the Asia-Pacific. It is a melting pot of cultures with its ancestral roots traced from Malayan tribes and the Philippines being a former colony of Spain and the United States. The talk will focus on the history of the Philippines and how the country achieved its Independence, the impact of Spanish and American legacy in its culture, its people’s struggles under the dictatorship of President Ferdinand Marcos who declared Martial Law in the 1970’s and how it captured its freedom and democracy back through a peaceful People Power Revolution in 1986. The talk will also discuss briefly the current Christian-Muslim tension in the southern part of the nation. It will also feature scenic tourist spots that are uniquely found in the land of the Filipinos.